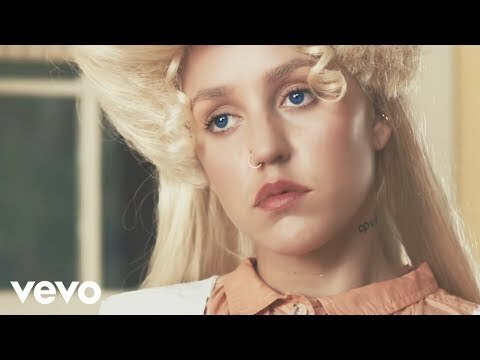 Chameleonic rapper and singer Brooke Candy unleashes the striking music video for her new song “Paper or Plastic,” premiering it exclusively via Dazed and Confused on July 8. Helmed by director and photographer Darren Craig of The Uprising Creative with creative direction by Brooke herself, the video tells a story of patriarchal oppression with stylistic innovation and panache. “Paper or Plastic” takes the viewer on a reality-bending trip with Brooke Candy playing one of five polygamist women who ultimately overcome their oppressor husband. The video begins with a piano plinking eerily over scenes of sinister domestic rusticity, setting a dark and tense atmosphere. From there, Brooke leads the sister-wives within vignettes of bizarre beauty as the story of revenge and empowerment builds to its bloody denouement. Throughout the film, Darren captures a medley of technicolor fantasy imagery that plays beautifully against the quasi-Deliverance vibe of the storyline.